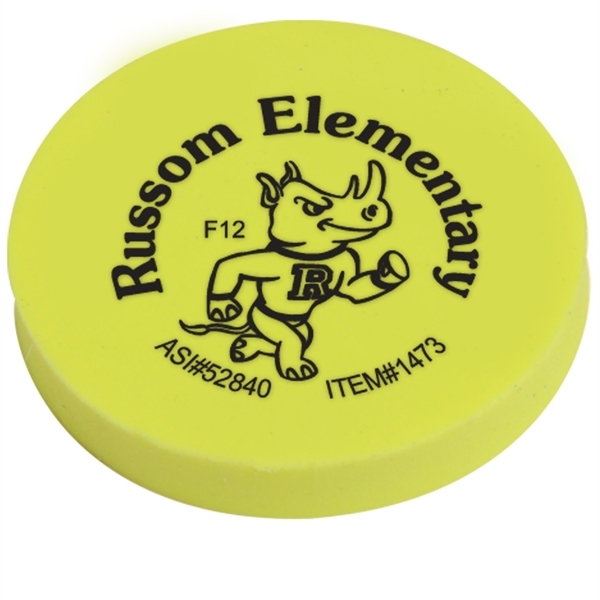 Make no mistake - your logo will look great on these round erasers! Each rubber eraser measures 1 1/2" x 1/4", and is offered in a variety of colors. You can receive up to 4 assorted colors, available at no additional charge. The price includes a one-color, one-location imprint of your choosing using one of our imprint methods. A great giveaway for students, teachers, accountants and more! Size: 1 1/2 " x 1/4 "
Price Includes: Minimum catalog quantity applies per ink color change. Price Includes: No neons. Color match will be as close as possible.